Rat anti mouse CD64 antibody, clone AT152-9, recognizes mouse CD64 also known as FcRI.  CD64 is a high affinity activatory receptor for IgG2a and a low affinity receptor for IgG2b and IgG3 type antibodies. The interaction between Fc receptors and antibodies play important roles in both the innate and adaptive immune responses. CD64, through binding of the Fc segment of IgG, mediates phagocytosis and plays a role in antibody-dependent cellular cytotoxicity and clearance of immune complexes. In addition, CD64 also functions as an antigen capture for presentation to T-cells and also mediates the release of cytokines and reactive oxygen intermediates including interleukin (IL)-1, IL-6 and tumor necrosis factor (TNF) alpha. It is constitutively expressed on monocytes and macrophages, germinal centre dendritic cells and early myeloid lineage cells, but not lymphocytes. Expression on monocytes can be strongly upregulated by treatment with interferon (IFN) gamma or G-CSF, and can be induced on neutrophils and eosinophils by IFN gamma. White; A.L. et al. (2011) Interaction with FcγRIIB is critical for the agonistic activity of anti-CD40 monoclonal antibody. J Immunol. 187 (4): 1754-63. Tutt AL et al. (2015) Development and Characterization of Monoclonal Antibodies Specific for Mouse and Human Fcγ Receptors. J Immunol. 195 (11): 5503-16.